IceWarp allows grouping a user’s shared accounts and Public Folders into a single centralized root folder. 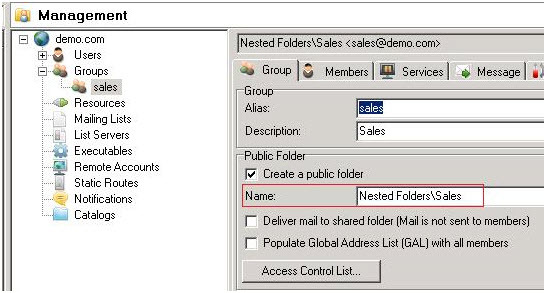 The folder tree menu within the WebClient will separate the user’s local folders (Inbox, Events…etc) from shared folders and group Public Folders that the user has been granted access to. 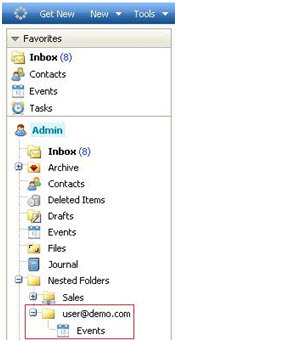 Navigate to the GroupWare – General tab within theAdministration Console and set the Shared account prefix. The default value is the tilde character (~). With the default value, each and every new shared account will be added to root of the folders on the same level as user’s own folders. 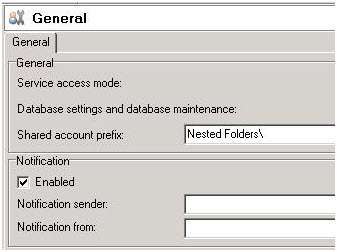 To use Nested Folder grouping, set the Shared account prefix to “Nested Folders\” (or any string you prefer, but don’t forget to add the trailing slash). 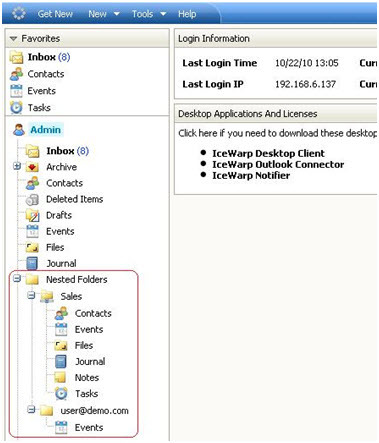 IceWarp server can be configured to use one centralized folder (Nested Folder), which serves as the root folder for all shared folders (those belonging to shared accounts and group Public Folders). This provides similar functionality to Microsoft Exchange.